Take a trip to Merlin’s in Fantasyland as we travel back in time and marvel at Disneyland’s magic shops. Mousetalgia welcomes Disneyland magic shop cast member Steve Simmons to the show to talk about working his way up in the parks from janitorial to magic shop magician! Relive the gimmicks, the gag gifts, and the mystifying magic as Steve tells us all about the sales techniques and tricks of the trade behind Disneyland’s beloved magic shops in 1969. Steve also talks about the grand opening of the Haunted Mansion, and the famous “Yippie” invasion at Disneyland which he witnessed in person. 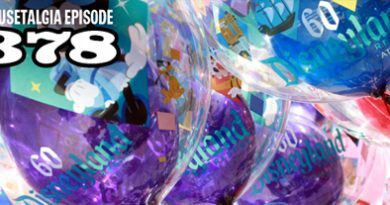 Also – Jeff and Kristen talk about their Macy’s Thanksgiving Day Parade finds from 1934, the team talks Disney shopping – and more. 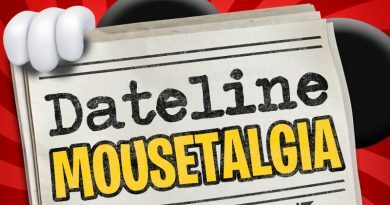 Dateline Mousetalgia – Episode 13 – All About Disney Villains!